JA06. 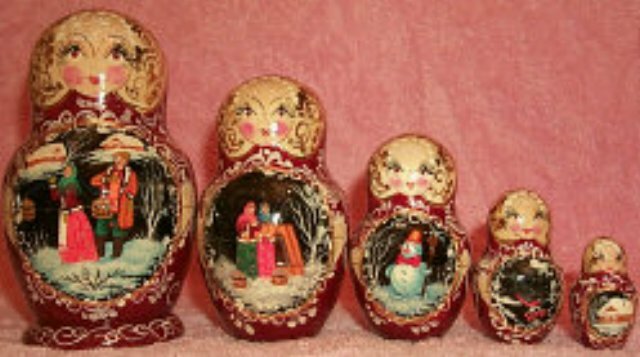 Russian Art Fairytales (snow) 5n 6"
Wooden matryoshka doll. Made by hand in Russia. Height - 6". Over 100 years ago a very special doll Became a significant part of Russian Culture and art. Introducing the Matryoshka doll collection!